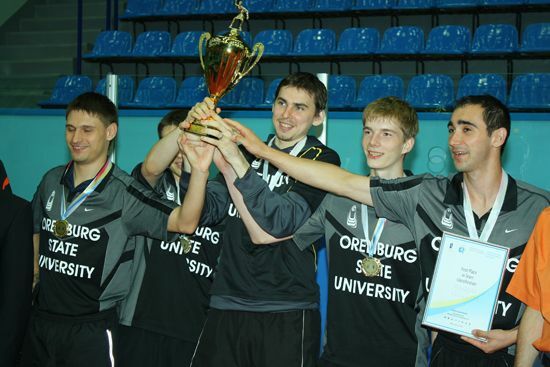 For four days 42 male and 30 female students from eight countries, representing 16 universities have competed in four disciplines at the 4th European Universities Table Tennis Championship, which was held in Kazan (RUS): team, individual, doubles and mixed events. Executive director of the Olympic Committee of the Russian Federation Marat Bariev, President of the Russian Student’s Sports Union Oleg Matytsin, Technical Chair of the European University Sports Association Andrzej Hrehorowicz, Minister of Youth Affairs, Sports and Tourism of the Republic of Tatarstan Rafis Burganov, Director General of the Kazan 2013 Executive Board Vladimir Leonov congratulated the athletes on the Championship’s completion. The closing ceremony was also attended by President of the Table Tennis Federation of the Republic of Tatarstan Ainur Aideltdinov, Vice-president of the Table Tennis Federation of the Republic of Tatarstan Gennady Argakov and chief umpire of the tournament Aleksandr Mizin. 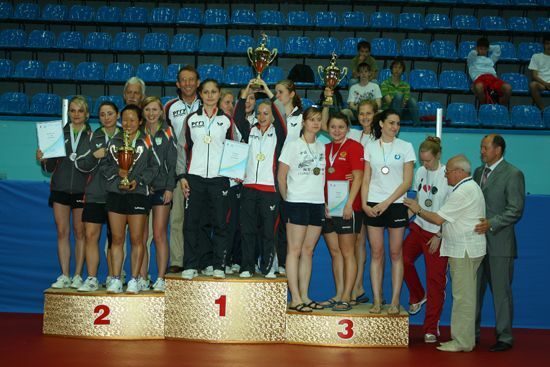 Most medals were won by the Russian and Polish students and their university teams but this does not reflect the devotion and matches of other participants, as we were able to see high quality matches in Kazan. It was not only the sportsmen that were given awards. 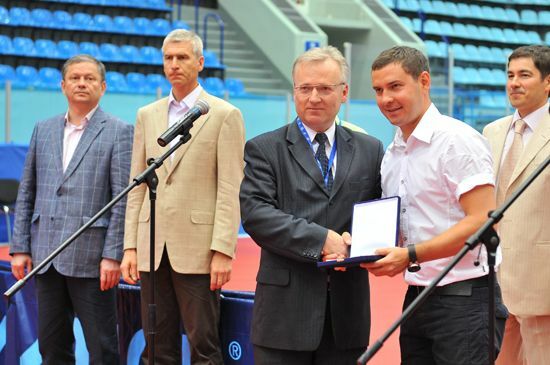 Andrzej Hrehorowicz presented commemorative gifts to the Championship organizing committee and on behalf of the Russian Student’s Sports Union expressed gratitude to the Republic of Tatarstan, the city of Kazan and the Organizing committee of the IV European Universities Table Tennis Championship. “I hope that the V European Universities Table Tennis Championship in Madeira will have the same excellent management next year,” he said. Oleg Matytsin also said that he felt gratitude to the organizing committee. The involvement of the local volunteers team was also commended. Marat Bariev expressed his hope that the European Championship athletes would also take part in the 2011 Shenzhen Universiade and would definitely arrive in Kazan in 2013. 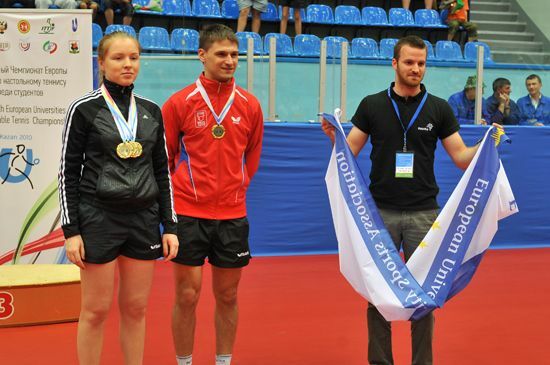 Champions Anastasia Voronova and Mikhail Gladyshev were given an honorary right to hand over the EUSA flag and hand it to the Portuguese students, as Madeira will host the next year’s European Universities Table Tennis Championship.